The 9th Waffen SS Hohenstaufen T-shirt is a single sided print in black. 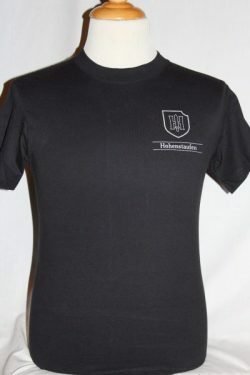 Front Design Only: Left Chest Hohenstaufen insignia screened in silver with text. 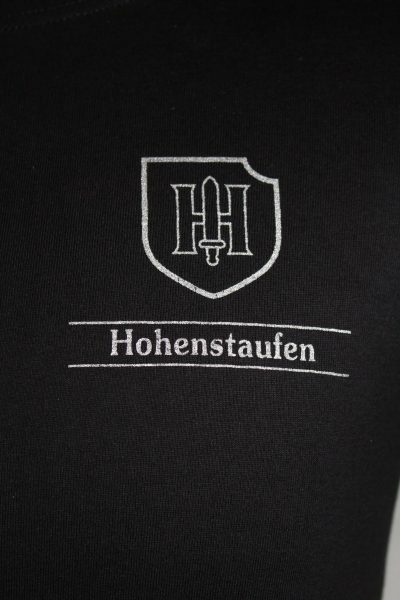 The 9th Waffen SS Hohenstaufen division was formed in France February 1943 as an Armored Panzer Division, in World War II.